Lowell and Ruth Raison have been breeding and showing Paso Finos for over 30 years. We started out with a small farm along Big Bear Creek nestled in the beautiful rolling hills of Southern Ohio. We added a second farm located just west of Ocala on Florida's scenic Nature Coast, and adjacent to the Goethe Forest Tidewater Trail Head. We are now focusing our breeding efforts on preserving the horses that introduced us to the Paso Fino breed. The Pure Puerto Rican Paso Fino. Our philosophy is we breed only for Paso Fino and that the result of the breeding is a son greater than the father or a daughter greater than the mother. To that end, we are proving our horses at the higest levels of Paso Fino competition in the show rings in Puerto Rico. We believe that only in Puerto Rico are there consistantly enough Pure Puerto Rican competitions and numbers of horses to truly compare the ability of a horse. Once a horse has proven itself worthy, it is brought to the USA and placed in our breeding program. Likewise, foals born here in the USA are being sent to Puerto Rico to prove themselves. We sincerely hope that by providing USA access to the "best of the best of the original Paso Fino" our efforts will result in deserved recognition and increased interest in the Pure Puerto Rican Paso Fino horse in the USA . If you have questions or want to schedule a visit, feel free to give us a call at 740-259-5261. 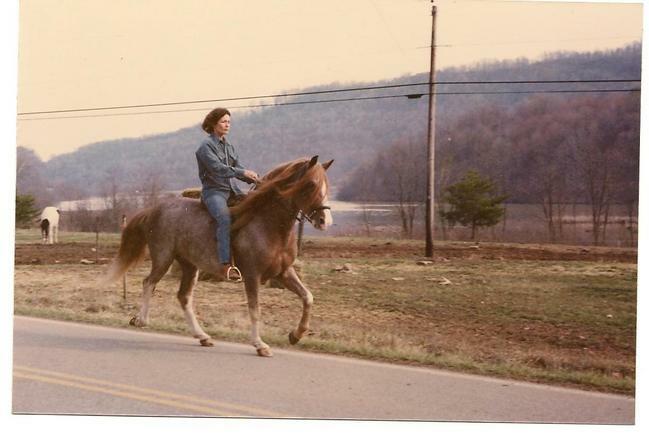 The horse that started it all. He was a horseman's horse.